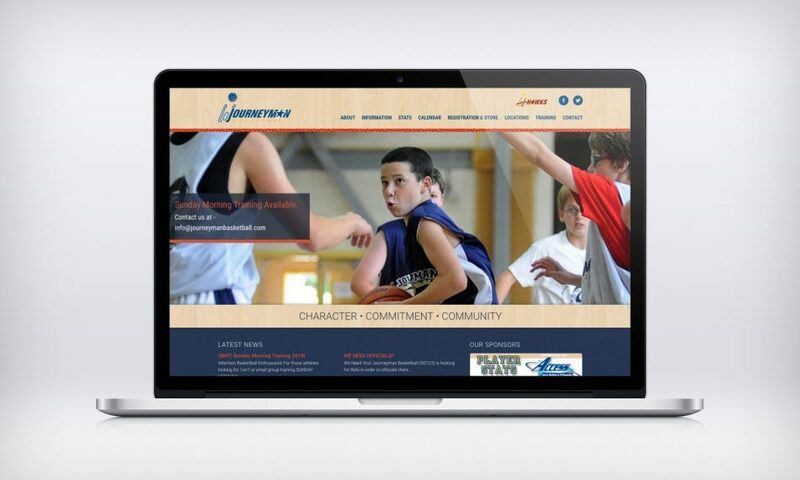 Journeyman basketball, a non-profit youth basketball league contacted ecm design to create a new web site. The site needed to have a clean friendly look and be easy to use for parents, athletes and coaches. ecm design took the pass, went the length of the court and made a slam dunk. Kids ages 9-17 from all over the Seacoast and Rockingham County play for Journeyman Basketball, which started in 1999 as a league with 14 kids. That number has grown to over 420. The league, which comprises three divisions and hosts three basketball sessions per year, is run mostly on a volunteer basis. Journeyman runs about 200 games over the course of a year. Each team plays 10 games per session, and there are also All-Star games, championship games and father/son games. The Web site, which keeps track of player statistics and standings, has been popular with the kids. The Journeyman site even has its own Hall of Fame.